Emir Skalonja and the whole team at FoxTrot Productions are busy people, if they aren't out making a feature film they are off doing short films or other projects. SAVAGE is the latest feature film from them and is set in the year 2019, after the worlds governments have collapsed leaving nothing but those still alive to try to survive. Trying to survive is hard though when you are always on the lookout for your next meal, and to make matters worse there are cannibals looming everywhere who will gladly make you their meal. SAVAGE is at its heart part revenge and survival story. This is because our main character at the start is doing what he can to survive with his family, that is until the cannibals come along and kill them, including his unborn child. As you would imagine this doesn't sit well with him and he spends the rest of the film hunting down his families killers so he can seek his final vengeance on each one of them. Eagle eyed viewers will spot that some of the scenes are shot in previous locations used in other FoxTrot Productions. The whole film has a washed out grey colour look to it which adds to the apocalyptic feel of the movie, with just vibrant reds breaking up the desolate helplessness all around. At times the dialogue is hard to hear due to background music being louder then the audio in the scene itself, which may distract some but stick with it. 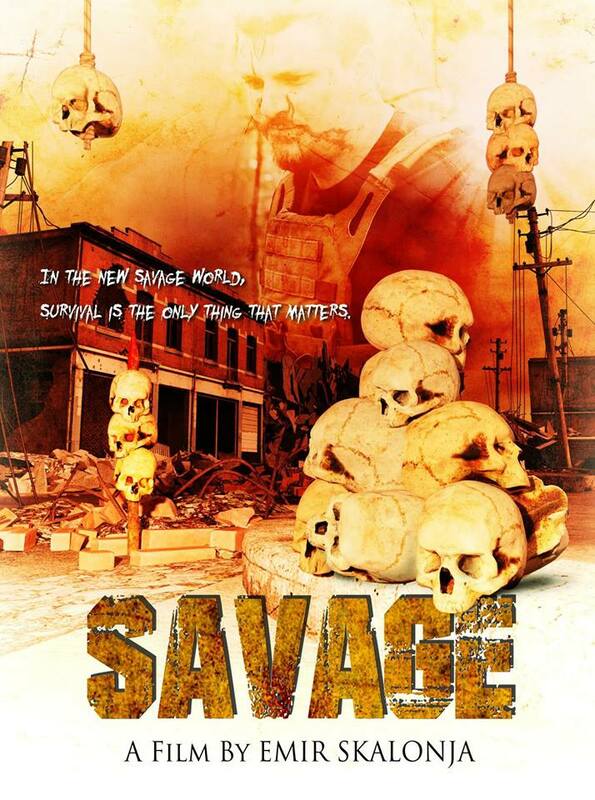 Overall SAVAGE is a decent post-apocalyptic cannibal movie that shows that even in the toughest of situations mans will to kill will take over his will to survive.